Mineola, NY) The Irish Americans In Government (IAIG”) of Nassau, Suffolk & Queens recently celebrated their 20th Annual St. Patrick’s Day Luncheon at Carlton on the Park in Eisenhower Park. 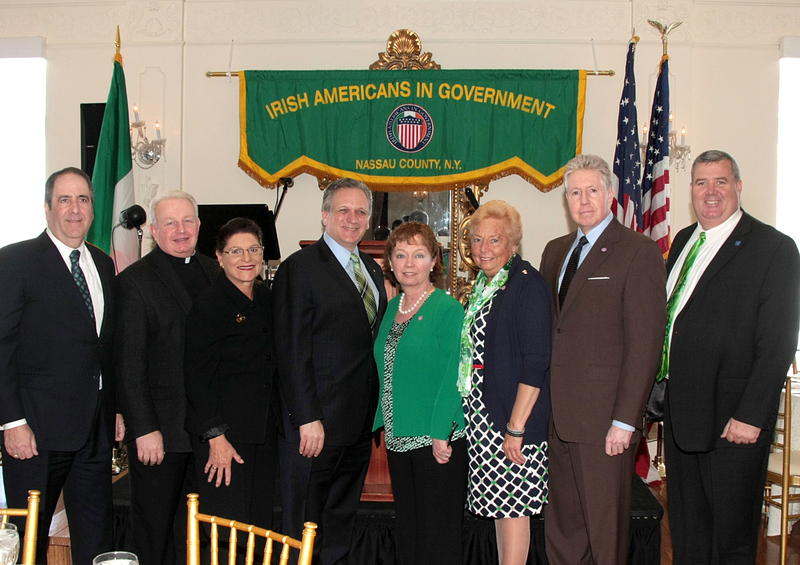 At this year’s celebration Nassau County Executive Edward Mangano and Nassau County Clerk Maureen O’Connell joined other area officials and community members in honoring the Feis committee of the Nassau County Board of the Ancient Order of Hibernians. The A.O.H. Feis and Irish Festival provide a forum for the celebration of Irish culture, music and custom. The Annual St. Patrick’s Day Luncheon raises funds that are distributed to local organizations including the Nassau County New York Ancient Order of Hibernians, Catholic Charities, Project Children, Special Olympics and The Food & Nutrition program.